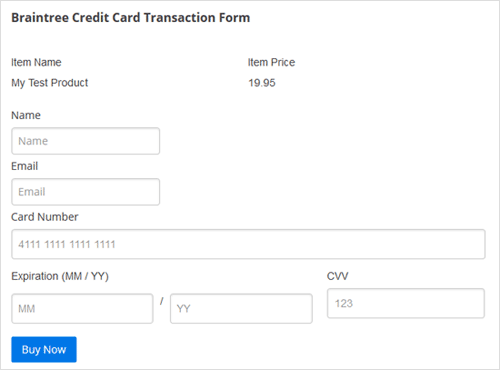 WP Braintree Payments plugin lets you create “Buy Now” button to accept credit card payments on your site for a product or service. The plugin was designed so users can quickly make payments to buy virtual or tangible products from your website via the Braintree payment gateway. Switch to the “Upload” tab. Once the plugin has been installed there are some Braintree specific options that you need to configure in the settings menu. You can access the settings menu your WordPress admin dashboard. Go to the WP Braintree menu. You can retrieve all those information by logging into your Braintree merchant account and clicking Account ->My User -> API Keys. 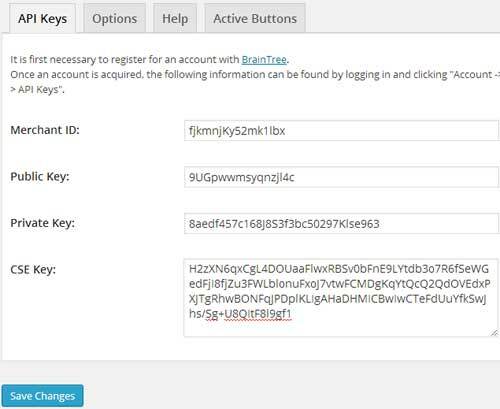 Now click “Save Changes” to save your API Key details in the plugin. Once you have entered your Braintree Merchant credentials you can switch to the “Options” tab. 2. 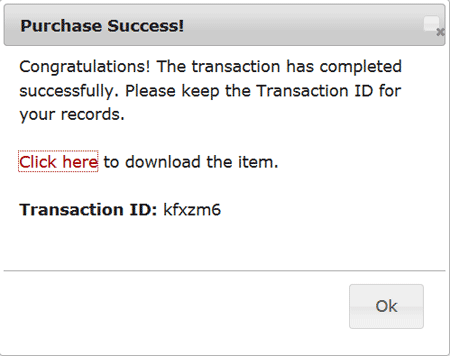 Specify a success URL where a user will be redirected to after the payments. Create a new WordPress post/page for your product or service then insert the shortcode using the plugin’s shortcode inserter (you will see it in the visual editor). Your site is now ready to accept credit card payments via Braintree payment gateway. If you want to use 3D Secure Payment then you need to enable that option in your Braintree merchant account. You can contact Braintree support and enable 3D secure in your live account. If you fully read this page, it will be helpful. This plugin will work fine with the 3D Secure payment option.